A powerful Massachusetts politician in 1845 learned the hard way not to mess with the mill girls – and especially not with Sarah Bagley. To the mill girls of antebellum New England, Sarah Bagley stood taller than the reform leaders of the day. She meant more to them than Horace Mann, Susan B. Anthony, Dorothea Dix, or Sojourner Truth. She was one of the earliest and most important advocates of working women’s rights. Like another Lowell native – Jack Kerouac, a century later – Sarah Bagley refused to be stuck in a second-class life. But newspaper editor and state Rep. William Schouler viewed Sarah Bagley as a greedy troublemaker. The two adversaries confronted each other at the Massachusetts State House. Too late did Schouler didn't realize how formidable an opponent he faced. Sarah Bagley was born on a farm in Candia, N.H.,, sometime in April 1805 or 1806. After her family fell on hard times, she moved to Lowell, Mass., in 1835 to work in the Hamilton Mills. She was 28, older than most of the mill girls. Her conflict with newspaper editor and politician William Schouler began with her involvement with the Lowell Offering. 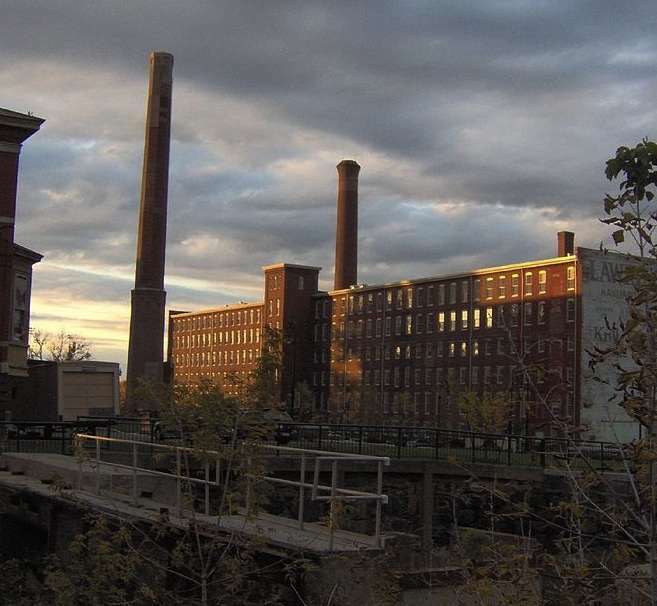 In the early days of the great textile mills in Lowell, mill girls got decent wages. However, they worked long hours and were supervised closely. When they did have free time, the mill girls took advantage of Lowell’s many cultural offerings: libraries, concerts, improvement circles and lectures. One mill girl came from Maine to work in Lowell just so she could have access to books. In October 1842, state Rep. William Schouler bought the Offering. He was also the editor of the Lowell Courier, a friend to the factory owners. The Offering stopped publishing Sarah Bagley’s criticisms. In November 1842, the Hamilton Mills management tried to force the mill girls to work two looms instead of one. They walked off the job, and management fired and blacklisted them. There was a depression on, and a thousand textile workers left Lowell between 1842 and 1844. They were fed up with wage cuts and heavier workloads. By 1844, conditions had improved so that male workers received raises. Women did not. 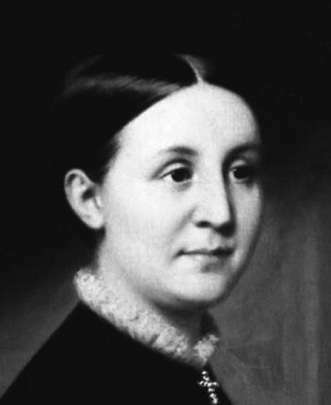 In December 1844, Sarah Bagley met with five other women at the Anti-Slavery Hall in Lowell to organize the Lowell Labor Female Reform Association. They defied the prevailing belief that women who organized were reprehensible, and they fought for safer workplaces and the 10-hour day. the women elected Sarah president, and she persuaded the group to buy a small, militant labor publication, The Voice of Industry. The Lowell Labor Female Reform Association quickly grew to 600 members. It had Massachusetts branches in Waltham and Fall River, and New Hampshire branches in Manchester, Dover and Nashua. Is anyone such a fool as to suppose that out of six thousand girls in Lowell, sixty would be there if they could help it? Whenever I raise the point that it is immoral to shut us up in a room twelve hours a day in the most monotonous and tedious employment I am told that we have come to the mills voluntarily and we can leave when we will. Voluntarily! … the whip which brings us to Lowell is necessity. We must have money; a father’s debts are to be paid, an aged mother to be supported, a brother’s ambition to be aided and so the factories are supplied. Is this to act from free will? Is this freedom? To my mind it is slavery. 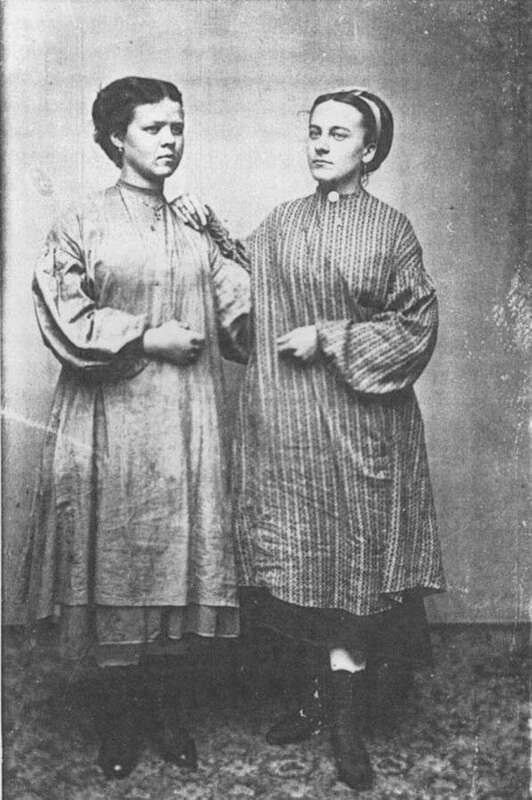 The mill girls' petitions, with 2,139 signatures, led to one of the earliest legislative hearings on factory conditions. But to the dismay of the mill girls, Rep. William Schouler chaired the committee. Schouler may have tried to intimidate the mill girls by insisting they testify before the committee – something women had never done before. That the Female Labor Reform Association deeply deplore the lack of independence, honesty and humanity in the committee to whom were referred sundry petitions relative to the hours of labor. – especially in the chairman of that committee; and as he is merely a corporation machine, or tool, we will use our best endeavors to keep him in the “city of spindles,” where he belongs, and not to trouble Boston folks with him. The fall election was coming up, and the mill girls made good on their threat. They worked hard to discredit Schouler. When the results came in, Schouler had lost. The mill girls thanked the voters for 'consigning William Schouler to the obscurity he so justly deserves.' Schouler then took his wrath out on Sarah Bagley in the pages of the Courier. More petitions resulted in more hearings, but no action from the Legislature. But public pressure was so great on the mill owners they finally shortened the workday in 1847 by 30 minutes to 13 hours. In 1853, the workday was shortened to 11 hours. By 1874, the 10-hour workday was the law in New England. By then, Sarah Bagley had gotten a job in Lowell as a telegrapher, probably the first in the United States. In 1847 she moved to Springfield, Mass., as a telegrapher. She was devastated to find out she earned three-quarters of what men earned. That year she also published a book, Biography of Self-Taught Men. She returned to Lowell, worked briefly in the Hamilton Mills and continued to speak about reform – women’s rights, prison reform, health care and working conditions. Then she fades from the historical record. According to some accounts, at 45 she married widower James Durro or Durnough, a homeopathic physician. Sarah took up homeopathy, caring primarily for women and children. The couple moved to Brooklyn and manufactured homeopathic medicines. James Durro died in 1871. The date and circumstances of Sarah Bagley’s death are unclear. With thanks to The Belles of New England: The Women of the Textile Mills and the Families Whose Wealth They Wove by William Moran. This story about Sarah Bagley was updated in 2019. My great grandmother worked those mills. She lost a finger on one of the machines.